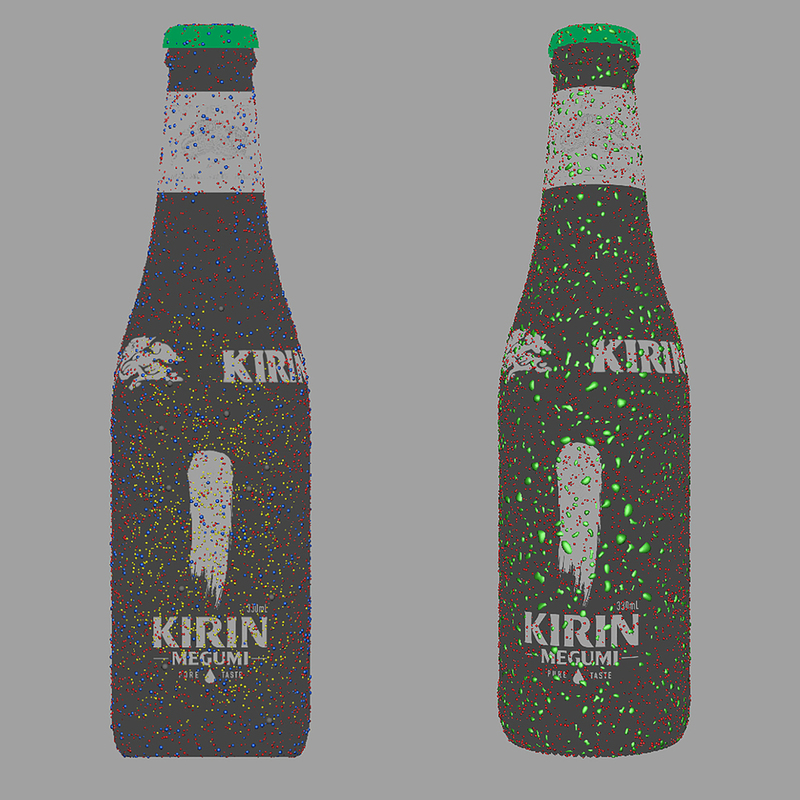 A sophisticated and new look for KIRIN MEGUMI has launched with a striking new bottle honouring the brands Japanese heritage, which dates back to 1888 when brewing began. A carefully designed concept and label artwork was developed by the team at Barker Brand Partnerships. 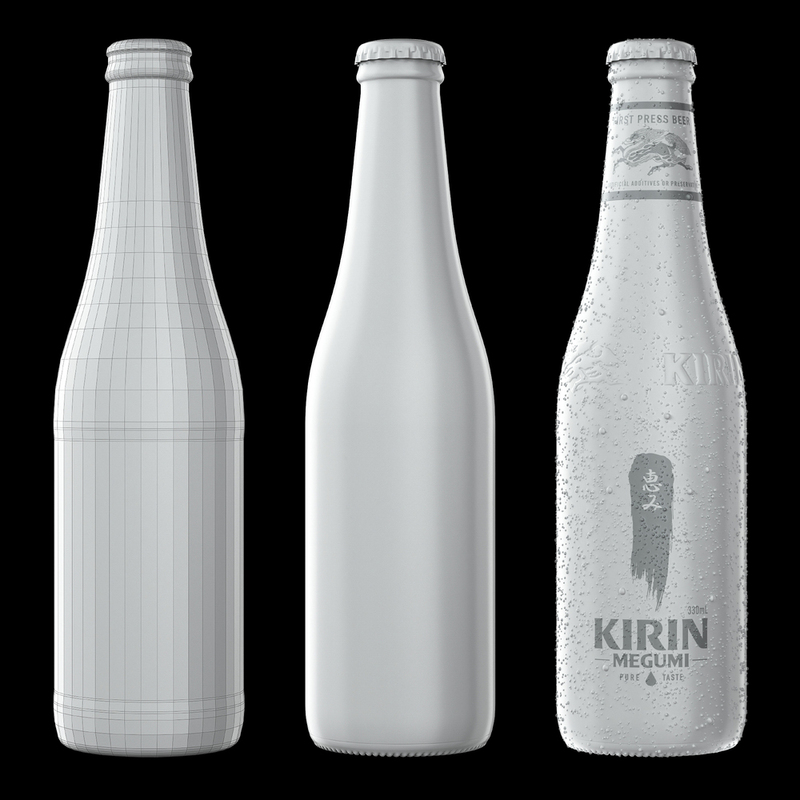 Our role was to expand upon this by creating the product and other elements in 3D to deliver renders for use in the final packaging artwork. Using 3D not only afforded us the flexibility to produce multiple renders from a single asset, it also paid off when the spritz needed to be refined at varying stages of image production.